I confess that the first principle is to keep the file schema.xml in the simplest possible form. Linked to this is a very important issue – this file should not be synonymous with chaos. In other word, do not stick with unnecessary comments, unwanted types, fields and so on. Order in the structure of the schema.xml file not only helps us to maintain this file and its modifications with ease, but also assures us that no information that is unnecessary will be stored in Solr index. How many of those who use Solr in their daily work took the default schema.xml file supplied in the example implementation Solr and only slightly modified the contents – for example, changing only the names of the fields ? I should raise my hand too, because I did it once. This is a pretty big mistake. Someone may ask why. Are you sure You need English stemming when implementing search for content written in Polish ? I think not. The same applies to field and type attributes like term vectors. Sometimes I find the implementation of search based application, where update of Solr does not mean an update of schema.xml file. If it is a conscious decision, dictated by such costly or even impossible re-indexing of all data, I understand the situation. But there are cases where an upgrade would bring only benefits, and where costs of such upgrade would be minimal (eg less expensive re-index or slight changes in the application). Do not be afraid to update the schema.xml file – whether it is to update the fields, update types, whether the addition of newer stuff. A good example is the migration from Solr 1.3 to version 1.4 – newer version introduced significant changes associated with numeric types, where migration to the new types would result in great increase in query performance using those types (such as queries using value ranges). 4. “Ill use it one day"
Adding new types, not removing unnecessary now, the same in the case of fields, or copyField definition. Most of us think - that old definition can be useful in the future, but remember that each type is some extra portion of memory needed by Solr, each field is a place in the index. My small advice - if you stop to use the type, field, or whatever else you have in your configuration file (not only in the schema.xml), simply remove it from this file. Applying this principle throughout the life cycle of the applications using Solr will ensure You that the index is in optimal condition, and after a few months since another feature implementation You will not need to be puzzled and as a result You will not need to dig into the application code to determine if the field is used in some forgotten code fragment. Feel free to comment, because I will read eagerly, for what else we should pay attention to when modifying schema.xml file. Finally, I think that it is worth to mention the article “The Seven Deadly Sins of Solr” LucidImagination published on the website at: http://www.lucidimagination.com/blog/2010/01/21/the-seven-deadly-sins-of-solr. 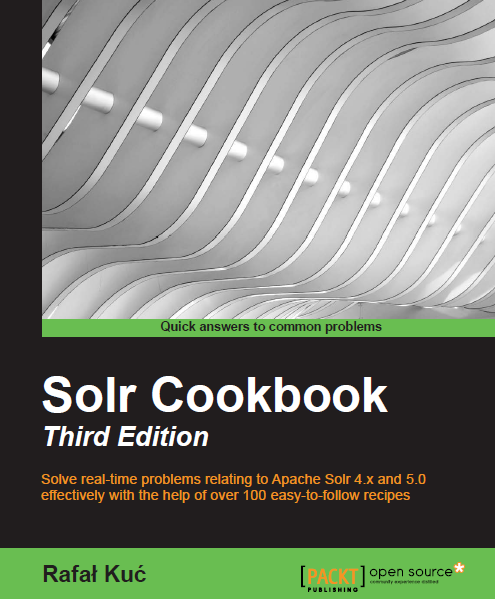 It describes bad practices when working with Solr. In my opinion, interesting reading. I highly recommend it.